First, the basics. 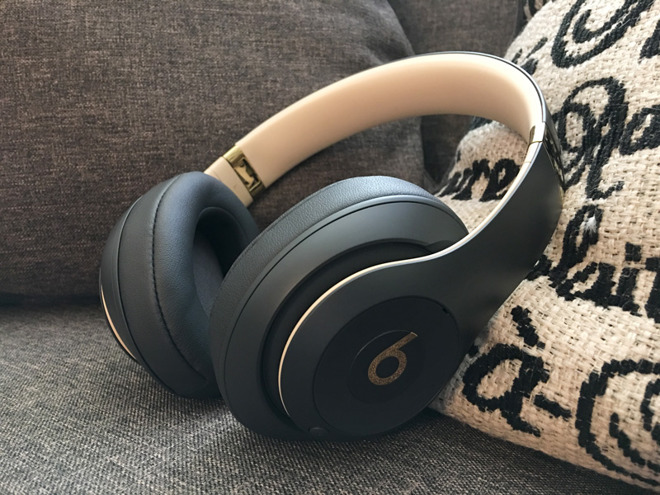 One of the key selling points of the Studio3 and other recent Beats headphones is Apple's W1 wireless chip, which enables Class 1 Bluetooth connections with better range and reliability — more on that later. 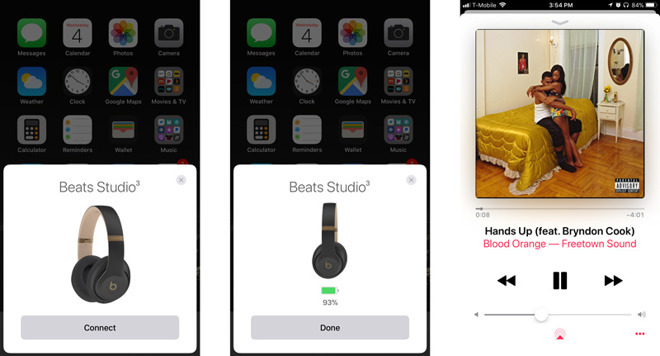 Another thing it enables is quick pairing with iOS devices, and sure enough, all it took us to get started was powering the headphones on next to an iPhone and tapping on a pop-up. This process also makes the Studio3 accessible to any Apple device signed into the same iCloud account, so long as it's running iOS 10, macOS Sierra, watchOS 3 or later. This being Beats, you can also pair with non-Apple hardware using conventional methods. Should you not want to use Bluetooth for whatever reason, there's a bundled 3.5-millimeter stereo cable with an inline remote — you can plug it in without turning the headphones on, but you do seem to lose noise cancellation. 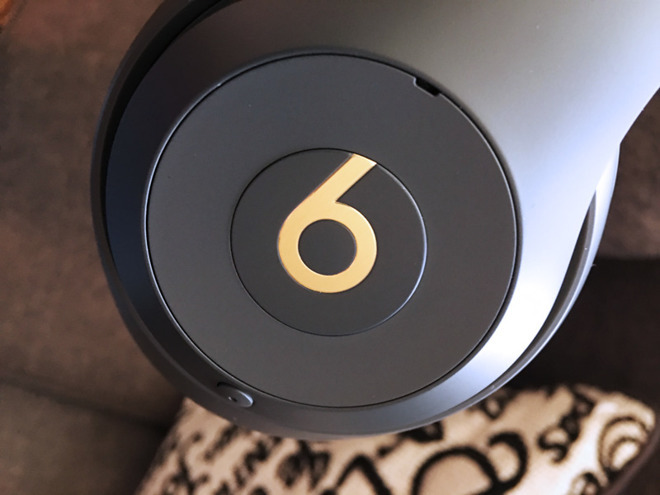 Build-wise, you'd be forgiven for thinking the Studio3 is identical to the cheaper Beats Solo3, at least at first glance. It uses the same general design, which is admittedly visually appealing — especially in the black, beige and gold "shadow gray" scheme we tested. More troublesome is Apple's decision not to change up the amount of plastic. The material here isn't too flimsy, and it keeps the headphones light, but it also feels a little chintzy given Apple's $350 asking price. It's not unfathomable that the Studio3 might break during a move or plane trip if it isn't packed well. Some people may be also upset by Apple's decision to stick with micro USB charging instead of shifting to Lightning, but this doesn't have much tangible impact. 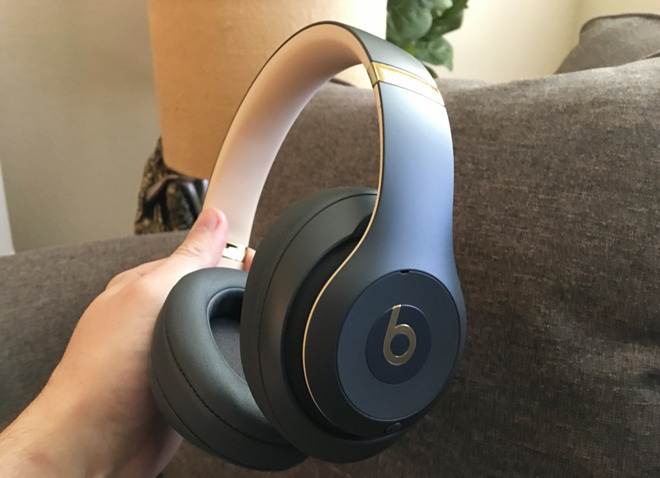 Once you actually put it on, one clear difference with the Studio3 is that it uses over-the-ear cups instead of the Solo3's on-ear arrangement. This improves sound isolation, and in our experience felt more comfortable as well, at least when wearing the headphones for a few hours at a time. We did encounter slight headaches and earaches when trying to go all day, which might be attributable to a combination of air pressure and keeping the band too tight — loosening the band seemed to help a little. The product will also warm up your ears even in an air conditioned room, which means it's not well-suited to hot weather or extended gym sessions. For workouts, it's probably better to go with the Powerbeats3 or AirPods. The million-dollar question, of course, is how the Studio3 sounds. The answer is "good" — above average without being spectacular. We listened to a wide range of music, from trance, rap, and drum and bass through to classical and ambient, and the Studio3 seemed to capture most of the nuances of each track, avoiding the overwhelming bass that Beats was once infamous for. It does favor bass, though, and doesn't offer the pristine clarity or frequency range of something like Master & Dynamic's MW60. The MW60 costs far more though, as do most products that might sound better. The headphones' noise cancellation technology —something Apple dubs "Pure Adaptive Noise Cancelling," or Pure ANC —does a reasonable job of filtering out droning sound, such as air conditioners. It's nothing special in practice however and as with other noise-cancelling headsets, you'll still hear irregular sounds such as talking, albeit muffled. For phone calls and Siri, the Studio3 has built-in microphones on an earpiece and the wired remote. In our limited testing, we had little trouble being understood using the earpiece mic, albeit walking around a quiet space. Speaking of walking, the headphones maintained an absolutely solid Bluetooth connection while we wandered around a two-story house, leaving our paired iPhone sitting in a top-floor office. This even included entering a detached garage, though the connection did cut out when we crossed the street. Officially battery life is rated at 40 hours without Pure ANC, and 22 hours with it on (the default setting). 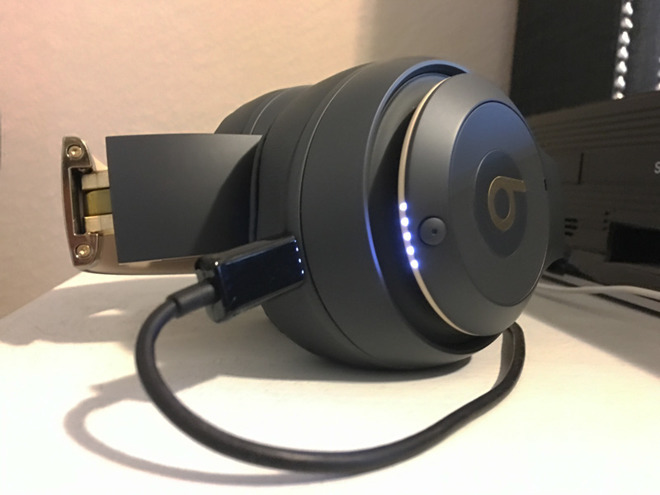 We weren't able to test this with lab-like precision, but in two days of heavy wired and wireless use with noise cancellation on whenever possible, we were down to 51 percent charge. That bodes well for people wanting to use Studio3 at work or on vacation, assuming of course that comfort issues don't come into play. Even if the battery were disappointing, Apple's Fast Fuel technology promises 3 hours of playback with a 10-minute charge. We were able to get from 51 percent to 60 percent in five minutes, and from 60 to 80 in 15 minutes. Should you get the Studio3? It doesn't sound much better than even the Solo2 Wireless, and costs $50 more than the Solo3, which is a tough sell when Bose's QuietComfort 35 headphones are available for $329. Sony's MDR-1000X costs about as much as the Studio3, but should likewise get some consideration before committing. We would recommend listening to all of the above headphones, if possible, and simply going with whatever improves your favorite genres of music. If that isn't an option, the Studio3 is at least a safe bet. At the moment, only Apple is actively shipping the Studio3, at a cost of $349.95. Authorized resellers are accepting preorders. B&H Photo currently has listings for four out of five colors and will not collect sales tax on orders shipped outside NY and NJ, saving many shoppers $28 on average compared with buying direct. Those who want to pick up the Studio3 in Shadow Gray will need to order from Apple or Best Buy, both of which collect sales tax in all applicable states.
! No interest if paid in full within 6 months using the Best Buy Credit Card. See site for terms & conditions.